"Hit Trax" creates MIDI files and Backing Tracks for singers, musicians, sequenced duo's/trio's and live bands. "Hit Trax" is a music production studio based in Melbourne, Australia and servicing performers around the world. Affordable MIDI files with 40% off 3 or more titles. Buy and download Hit Trax professional MIDI files and save hours in editing time. AMCOS Licenced and royalty paid. Secure online store open 24/7 - www.MIDI.com.au. Hit Trax MIDI files are the choice of 90,000+ performers and used in professional MIDI devices made by CASIO, Roland, Yamaha and M-Live, world leaders in MIDI musical instruments. Professional musicians need a team they can trust. Here at Hit Trax, our in house producers create high quality MIDI files so YOUR band sounds great on stage. Remember ... "When you need MIDI File Backing Tracks - think "Hit Trax".. This is the standard format for MIDI File backing tracks. 'SMF' - Standard MIDI Files, load and play in any MIDI File device or DAW. M.I.D.I. is an acronym for Musical Instrument Digital Interface. Almost all backing tracks are produced using this popular and organically expanding format. Let Hit Trax produce your custom MIDI backing tracks. Some of our customers tell us we produce the best MIDI Files. Highest quality and affordably priced. You receive a fully produced Karaoke MIDI File, lyrics and complimentary MP3 backing track mix. MIDI Files with Lyrics: Song titles with the phrase MIDI Karaoke under the title and artist name include scrolling 'karaoke lyrics'. MIDI File Editors Converters & APPS: Download free MIDI and MP3 editing software for MAC and Windows inclusing Q-MIDI and Cakewalk. Convert a MIDI File to MP3 format. Chordie & Song Book Pro: Chordie Song Book chords and lyrics and use with your MIDI Files. Chordie files include lyrics and chords to all your favourite songs. Find the link in the Menu. Save to Favourites: Save search results to FAVOURITE'S folder. Click orange star box next to blue demo-play button saves the title to favourite's folder. Click MY ACCOUNT to add selections to cart or delete selections anytime at a later date. * Requires sign-in. Free MIDI Files: Download a free MIDI File backing track each week. Requires addition of at least one paid MIDI File to comply with copyright obligations. For your convenience, FREE MIDI is automatically added to the shopping cart with REMOVE option. Australian MIDI Files: Hit Trax is your #1 source for Australian MIDI Files. 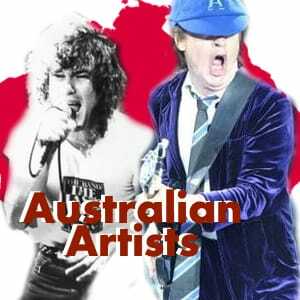 Find MIDI Files by AC/DC, Daddy Cool, INXS, Paul Kelly, Richard Clapton, Cold Chisel, Australian Crawl, Sia, Midnight Oil, Little River Band and more. Instructional Video's: Watch inhouse videos and take the Hit Trax web site video tour. Learn to use Merish and Okyweb backing track players with short and easy to follow video lessons. Customer Service: One on One customer service and tech support.